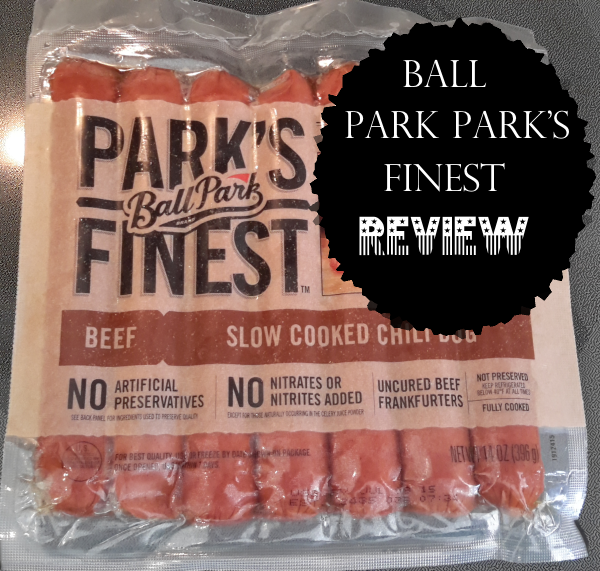 Ball Park Park’s Finest now offers a couple of new, tasty flavors – jalapeno cheddar beef and slow cooked chili dog beef – just in time for the summer grilling season. July 4th is almost upon us, and Labor Day will come around before we know it. Anyone who’s grown tired of standard hot dogs and hamburgers may want to give Ball Park Park’s Finest a spin. I was provided with free sample packages of the new flavors as well as the signature seasoned variety for use in this honest review. All three of the flavors I tried would make great additions to summer get togethers such as reunions, birthday parties, cookouts and fundraisers. For me, Ball Park Park’s Finest made a fantastic quick dinner option on some evenings when temperatures soared and I really didn’t want to slave over a hot stove for very long. 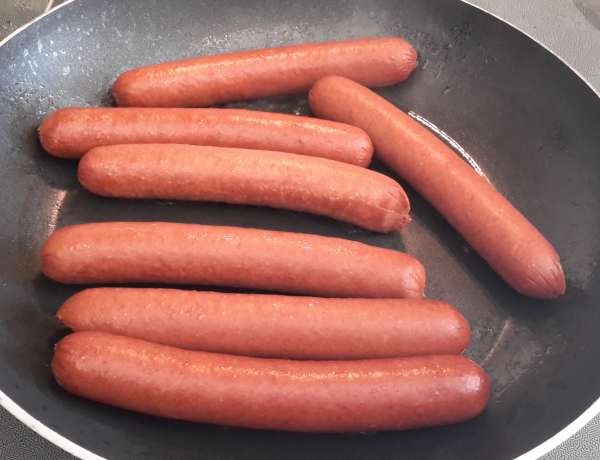 You can also prepare the franks on a grill or in the microwave. The first ingredient on the label of Ball Park Park’s Finest franks is beef. It doesn’t say anything about beef by-products or meat by-products. They also don’t contain any nitrates, nitrites, artificial colors or artificial preservatives. In addition to the flavors I tried, Ball Park Park’s Finest also comes in slow smoked hickory beef and cracked Dijon mustard beef varieties. The jalapeno franks had the most kick to them, not surprisingly, and definitely didn’t need any condiments to enhance their flavor. The chili dog flavored dogs had somewhat less bite to them, but still didn’t need any mustard. The signature seasoned flavor had just a touch of spice and tasted great with or without mustard. 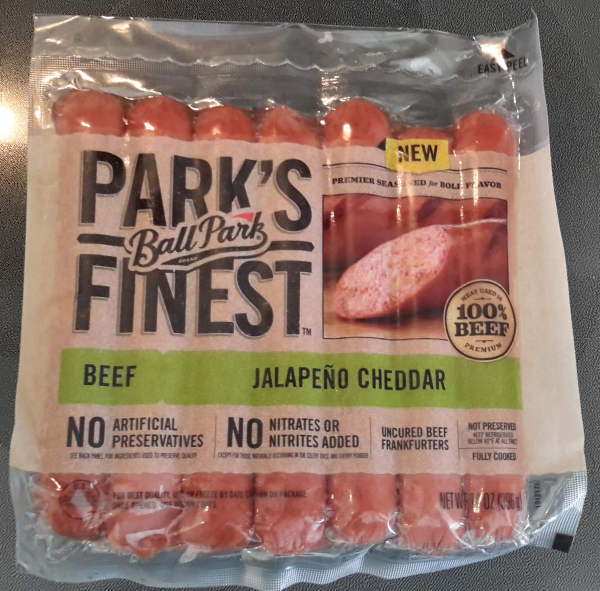 Ball Park Park’s Finest jalapeño cheddar beef franks contain 170 calories each, 15 fat grams, 8 grams of protein and just 2 grams of carbs. The chili dog franks contain 180 calories each, 15 fat grams, 7 protein grams and 4 carb grams. According to Ball Park, Americans eat around 7 billion hot dogs between Memorial Day and Labor Day. That time period accounts for more than half of annual frankfurter sales. 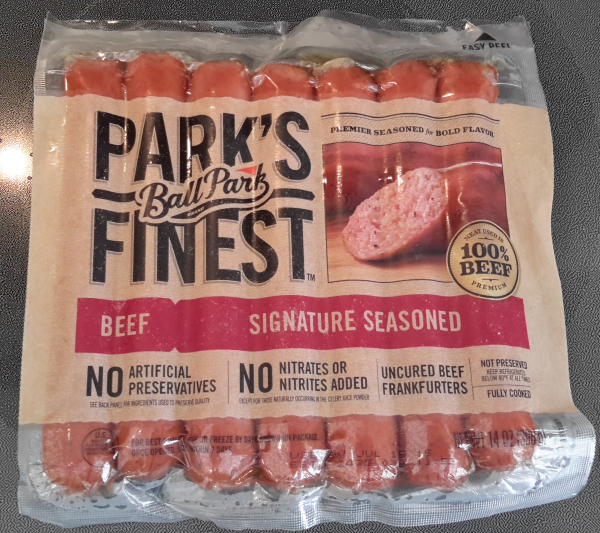 In celebration of the summer cookout season, Ball Park is offering free wiener advice to anyone who calls toll free to 844-4FRANKS, texts 57872 or Tweets @BallParkBrand with #MakeItFinest. If you enjoyed this post, please click here to give it a G+1! Please follow LivingWithBeth on BlogLovin and like LivingWithBeth on Facebook!